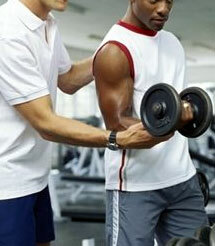 You are at:Home»Questions & Answers»Is It Okay To Start Weight Lifting at 14 Years Old? I’m only 14 years old and I want to start lifting weights. Some of the other kids in my class have already started weight training and they are getting bigger and stronger. I have noticed a lot of the girls at my school are really interested in them because they probably like the “buff” look. I’m kind of a scrawny kid and would like to add some muscle and bulk up a little. Is it okay for me to use dumbbells at my age? If not, can you recommend the best exercises for me to do so I can get bigger? It should be completely safe for you to start a resistance training program at your age. However, before starting I recommend seeing a doctor so they can do a full physical on you. You want to get the final approval by a health professional just to make sure you are 100% healthy before starting any type of exercise program. Once you are checked out and have the clearance from your doctor, you can get started on a weight lifting plan. There should be no issues with using dumbbells at your age or any other forms of training. The only thing you want to be aware of is the amount of weight you will be using. Since you are still growing, you do not want to place a massive amount of stress and tension on your bones, connective tissues, ligaments and joints so just make sure to avoid going extremely heavy on some of the major exercises like the bench press, squats and deadlifts. 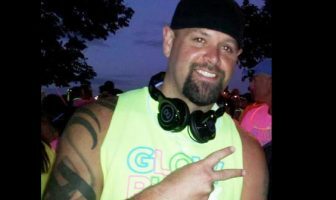 The biggest thing you should be focused on when beginning a weight lifting program is your overall form and technique for all of the exercises you will be doing. The way you perform each movement is critical for placing the maximum amount of tension on the specific muscle along with avoiding injuries which can occur when your training technique is flawed. The best thing you can do is to tell your parents about your interest in lifting weights and ask them if they will help you purchase a few training sessions with a certified personal trainer at your local gym. This will be a great investment in order to make sure you get started on the right path and it will ensure that you train safely and effectively. Your trainer will also be able to provide great advice and helpful tips about proper nutrition, designing a workout routine, rest, recovery and supplementation along with many other factors that will help you succeed with your fitness goals. Along with using dumbbells for your workouts, you can implement a myriad of different exercises to really challenge your muscles. A great option to mix into your training is using kettlebells which are amazing for adding functional strength movements into your routine. Functional training is basically a classification of exercise which involves training the body for the activities performed in daily life. ShapeFit has an amazing database of kettlebell exercise guides which you can use to learn the different movements. I also recommend incorporating bodyweight exercises into your overall plan as well. Using your own body weight is incredible for increasing overall strength and exercises like pushups and pull-ups are some of the best movements to use for building up muscle mass in your upper body. I would like to commend you for starting a weight lifting program and for taking the initiative to improve your overall health and fitness at such a young age. I really wish there were more young kids your age that followed your lead and started really thinking about eating a healthier diet and becoming more active in their daily lives. By beginning a fitness plan now, you will be setting up the foundation for healthy habits which you can follow and benefit from for a lifetime. I wish you great success in the future and I’m sure you will reach all of your fitness goals! Can You Help with a Weight Lifting Training Routine Schedule? I’m 14 and I’m doing 160 pound squats and deadlifts. I think you will be fine starting out with dumbbells. When I was 13 I was 103 pounds and gained 3 pounds just doing cardiovascular exercises. After 210 days of that, I switched to bodybuilding. I was 105 pounds starting out and I decided to bulk up. I’ve been bulking for 4 months and I’m now at 125.8 pounds and I’m still bulking. All I can say is to workout for yourself and not for other people and workout with someone to help motivate you even more. I wish you the best of luck and don’t overdo it and hurt yourself. Glad to hear that! I am 14 years old too and would love to start lifting weights but I am a little worried about my height. I would really appreciate it if you could help me out by telling your own experience. Does weight training stunt growth? Hi Atharv – Here is an article about whether or not lifting weight stunts growth potential in kids. I am 90 kg at the age of 14. Is it okay for me to lift weights to lose weight? Hi Shivam – Before starting a weight training program, go see your doctor and get a physical so you can have a professional look at you and give you the okay to start training. Weight training will help you build muscle which will help burn excess calories and body fat, but you also want to focus on cardio exercise and a clean diet as the primary things to help you shed those extra pounds. I’m 17 and a bit skinny at 6’1″ and 135 pounds. I have been doing push-ups and light dumbbells for a few years. Would that help me build muscle? 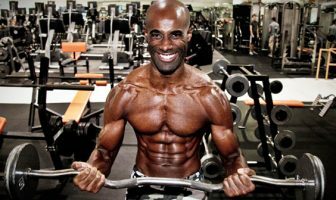 Hi Sonu – In order to pack on lean muscle tissue, you need to lift heavy and overload your muscles in order to make them grow. Starting out with push-ups and light dumbbell work is fine as a beginner but you will need to progress to more advanced free weight exercises if your goal is to gain a significant amount of muscle mass and get bigger. Stick with the big 4 mass movements which include bench press, squats, deadlift and clean and press. Along with these key movements, you will need to eat a lot of high quality calories from clean food in order to saturate your muscles and help them recover and grow from tough workouts. Sonu – I’m 14, 168 pounds and 5’11”. Try benching, I do 225 pounds on the bench press on Monday, Wednesday and Friday for 3 sets of 10 reps. That is how you’ll build muscle mass in your pectoral region. Also remember to eat anything you can, especially animal proteins so your making up for burnt calories. Just keep working, keep your head up and you’ll reach your goals! Have you ever experienced any lower back pain? I am 14 and started lifting but experience a constant minor back pain specially when I’m tired. I started weightlifting (weight training) at the age of 14. Keep in mind that at this age, you are still growing and you must exercise great caution in what weights you lift and how you lift them. I was already in good physical shape when I decided to lift weights, so I was off to a great start already. However, most of my fitness came from the cardiovascular workouts, with occasional strength training through body exercises. I advise anyone at age 14 or older, to not use improper form when lifting weights. Always keep your back straight and do not lift weights that you cannot handle lifting without straining greatly. All too often I saw my fellow peers in high school try to act macho and lift heavyweights. These kids were not at my level of fitness either and they did not even know how to do bicep curls. Of course, I indulged in friendly competitions among my fellow athletes to see who could leg lift 200 pounds for 10 reps, but I had worked my way up to that level. At age 15, my weight training had radically transformed my body and I began to show signs of muscularity I did not have the previous year. I haven’t weight trained in a long time though (I am 21 years old now) but will be picking it up again sometime soon once my physical fitness returns to the level it was in my sophomore year of high school. So long as you have proper form and only lift weights which your muscles can handle. It’s okay to challenge yourself, but if you can only curl 20 pounds, don’t go and start lifting 50 pound dumbbells, go to 25 pounders instead. The same holds true for other weights and weight lifting maneuvers. If you can bench press, let’s say 100 pounds, don’t go and jump to 200 pounds. A good rule is to increase by fives or tens (pounds). Challenge yourself, but don’t overdo it either. You can injure yourself which will setback your progress and at the age where you are still growing, it could damage your growth plates. Don’t look at those kids trying to be cool and trying to impress the girls. When you workout, do it intelligently and with knowledge because when you workout with ignorance, you will suffer for it. I used to lift in 8th grade, once a week, and I sometimes skipped a week because of school holidays. Well, now that I don’t take PE it finally made sense to get my own bench. However, I don’t do squats because of lack of safety (nothing to catch the bar if it falls) and the lack of space. I like doing leg extensions, hamstring curls, bench press and bicep curls. I’m not too strong right now, but I used to squat 205 pounds and bench 95 pounds for sets of 10 reps.
I’m 14 years old and I play football. I am lifting weights at my school and my mom is mad at me because she stated that my body is not ready to lift weights. I said that I think as long as I lift less than my body weight, I will be okay. Is this right? The left side of my chest is abnormal. How can I fix it? Hi Muhammad – It really depends on the nature of the abnormality. You probably should consult with a doctor first to make sure it’s not a medical issue. I play soccer and want to do some weight lifting in the gym. Can it help me gain strength for soccer? Hi Ali – Yes, it will help you gain strength for soccer. However, before you start any type of exercise program make sure to have a full physical completed by your doctor and get clearance before you start training with weights just to be on the safe side. I’m 14 years old and want to know if a 30 pound kettlebell is too heavy to use. I can do one-arm presses, swings and deadlifts, but I can’t hold it up to my chest when I’m standing up. I turn 15 years old in a few months and I want to lift weights for rugby, so I will go see a doctor to get a physical before I start training. Regarding weight lifting at a young age and how it affects height, will this cause me any issues? Hi Mpilo – That’s a very smart first step to go see your doctor for a full physical before you start weight training. Although you should not have any issues with weight training affecting your height at your age, it’s important to bring this topic up with your physician to get their professional input as well. I’m from South Sudan and I’m currently in Kampala, Uganda. I’m 14 years old (8th grade) and I’m 6’10” and still growing. I have a dream of playing in the NBA. Do you think lifting weights will help me? Or, will it stop my growth? Hi Joseph – Lifting weights will be a huge benefit since it will help you increase your strength and muscle mass. It’s highly unlikely that it will stunt your growth. Implementing a strength training routine will be an advantage and will help you reach your goal of playing in the NBA someday.